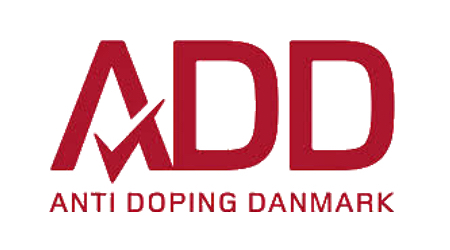 Anti Doping Denmark (ADD) is a public authority with the main objective of detecting and deterring doping abuse in Denmark. We operate through doping control, prevention, investigation and research a.o. not only in sport but also in Danish fitness centres. We employ 16 full-time staff members in the Secretariat in Brøndby as well as 45 part-time doping control officers. We have a limited budget for doping control and, with more than 2 million Danes taking part in organized sport in Denmark, ADD needs to be very selective and intelligent when targeting our doping controls. For 2000 athletes ADD has access to a wide variety of different kinds of data (e.g. biological, performance, and location) that can be used for intelligent testing. Nevertheless, a systematic processing of data with the objective of pinpointing high-risk athletes based on these individual information remains to be established. We would like to analyse and combine all relevant data into single ‘Athlete intelligence’ system to establish ‘individual risk assessment’ of the different athletes. In addition, we expect the algorithm to provide recommendation into whom and when to test. We believe this will increase our qualitive of testing and make us able to better detect doping abuse in Danish sports. •	Develop Intelligence system to track and flag suspicious athletes based on various types of intelligence such as biological, performance and location data on a continuous basis when new data comes in. At the end of our collaboration we expect you to deliver an excel sheet that through a dedicated algorithm (e.g. macro) process data in an easy-to-use way and provides solutions for target testing on specific athletes. In order to successfully go through this project, we are looking for motivated data or IT master thesis student. You should be studying Computer Science, Mathematics, Statistics, Data Science, cand.merc.IT or other relevant education program and have good experience with Microsoft Excel or similar programs to work with data. We also expect you to have some knowledge about Machine Learning, AI, robotics or similar. A general interest in sport is preferable. To support you with this project, you will gain access to all required data from our dedicated databases as well as the possibility to work closely with the science and testing managers as well as other relevant people within our organization. You will also have an assigned science manager from our organization providing input, feedback and supervision of the project during the study period.